Christmas spending – how do you compare? We all know that when it comes to Christmas gifts, it’s the thought counts, not the cost. However, for those of us who are perhaps more ‘value-aware’ it’s always nice to put a figure on a pressie! Fortunately for such scrooge-like individuals, latest research from Policy Expert does just that. The insurer’s figures reveal that we Brits are a fairly generous bunch at Yuletide, splashing out an average of £365 on gifts for family and friends. Of course, there are some who spend much more, but even so it’s a little surprising that as many as one-in-four (27%) buy over £500 worth of presents for loved ones. At the other end of the wealth spectrum, one-in-six (16%) can only afford to spend £125 or less, perhaps reflecting the austerity times we live in. As any parent or grandparent can tell you, the total cost of Christmas really adds up. When you include the cost of food, travel and holiday activities, Policy Expert’s figures show a grand total average spend of £637 per person. For nearly one-in-five (19%), the average total cost is much greater, coming to a whopping £1,000 or more. Who do we spend the most on? Partners are the lucky recipients of the most generous gifts, with one-in-eight (12%) spending over £200 on their other half. Another one-in-four (23%) give gifts worth between £100 and £200. Friends come second when it comes to pressie-generosity; 45% give their buddies items worth £10 to £30, while for almost one-in-five (19%) the figure’s less than £10. The most popular presents given are clothes (60%) followed by toiletries (55%), chocolate (53%) and perfumes or aftershave (52%). The figures also show that an imaginative 42% give cash, and another 29% the highly-prized gift of socks. 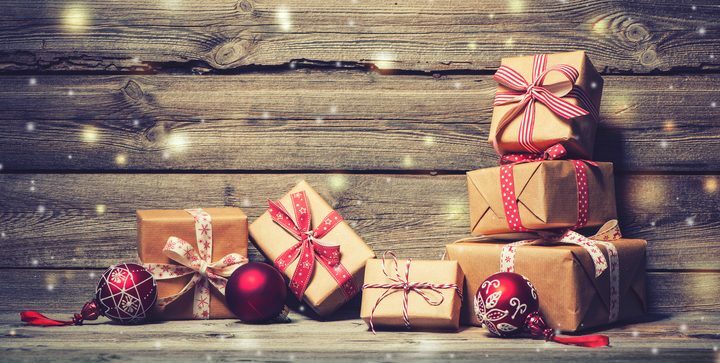 But despite the hefty sums spent on gifts at Christmas, many clearly don’t know how to buy the right present as 95% say they’ve received something unwanted. Many end up donating the shunned item to charity (30%), but a cheeky one-in-four (25%) save money by passing it on as presents to others. And there’s an avaricious minority of 5% who actually sell the gift on eBay. Policy Expert’s research also shows that the cost of Christmas can clearly get a bit much as a surprising number go to significant lengths to find ways to save. There’s the usual budgeting (59%), and planning well in advance (61%), but one-in-six (16%) actually go to the bother of buying next year’s gifts in the January sales. And almost the same number, (15%), make sure they apply for cashback credit cards to pay for festivities. A sensible one-in-four (23%) use saved up store card loyalty points or coupons, and one-in-eight (12%) wrap up homemade items to give to friends and family. There’s also a small but probably very happy minority of one-in-twenty (5%) that play ‘Secret Santa’ and draw names from a hat and buy just the one present for whoever the lucky person is.